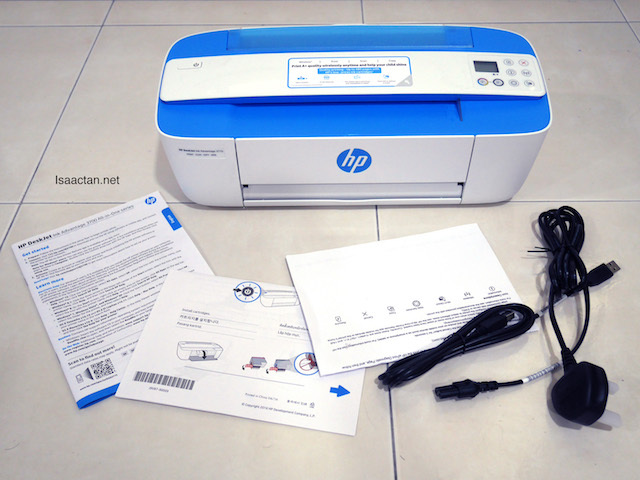 Now I'm a big advocate of HP Deskjet printers, having done numerous reviews previously. If you haven't read my previous reviews, check out this cute one here. 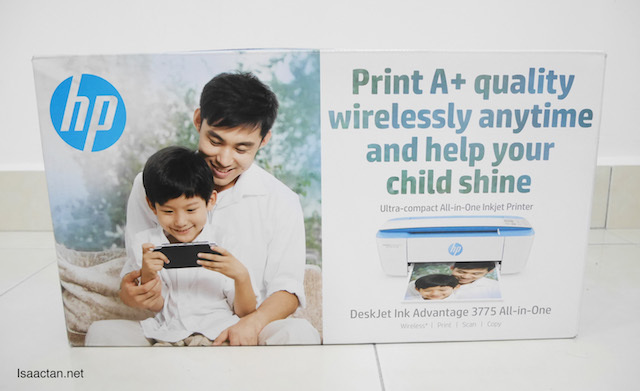 This time around, I have the chance to own the World's Smallest Inkjet All-in-One Printer, HP Deskjet Ink Advantage 3700 Series printer. It's seriously so small and light, even the kid is able to carry it! Check it out below. 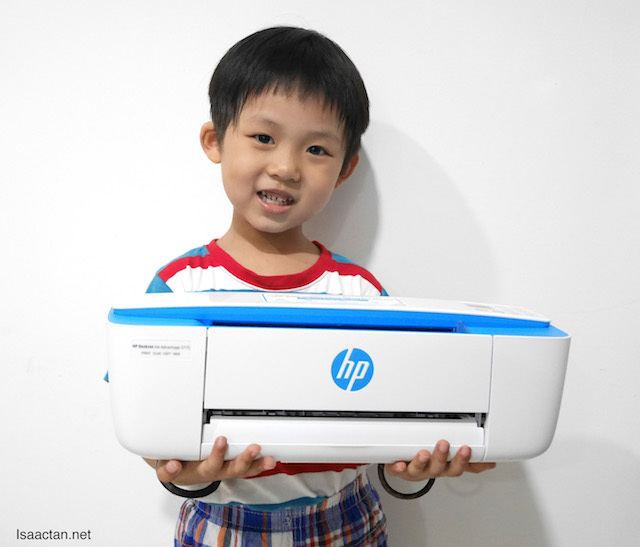 Designed for digital natives who want to print from Facebook, Instagram and more, the HP DeskJet Ink Advantage 3775/3776/3777 is half the size of other inkjet all-in-one printers in its class, yet combines robust print, scan and copy capabilities all for RM 379. I must say, I do like its colour. 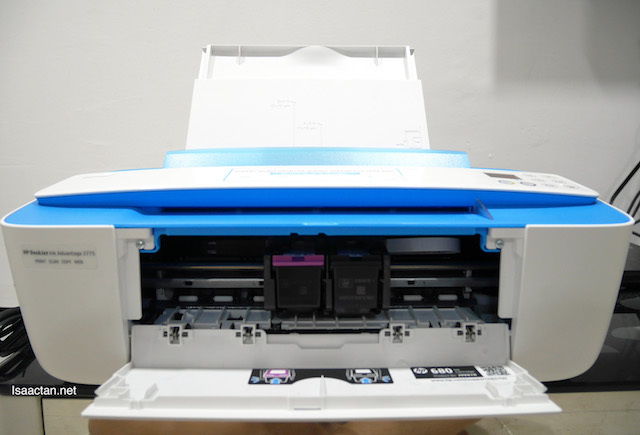 The blue is rather fitting, considering it's a "kid" sized printer. Recently named one of TIME Magazine’s 50 Most Influential Gadgets of All Time, the redesigned DeskJet offers easy printing from a smartphone or tablet. 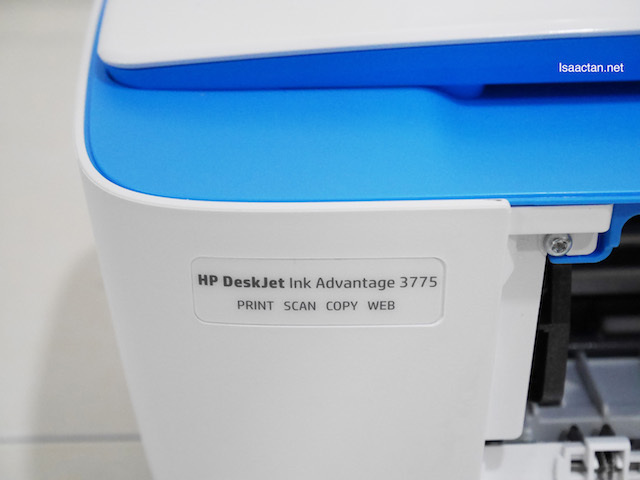 The HP DeskJet Ink Advantage 3775/3776/3777 does not just optimize space, it energizes space with a variety of vivid hues that include Electric Blue, Sea Grass Green and Cardinal Red. Bringing in a fresh design to fit today’s modern homes, the printers feature a white base that easily blends with any home décor, with a celebration of colours ranging from the cool neutrals that exude a calming, soothing effect to a bright red that is fun and playful. 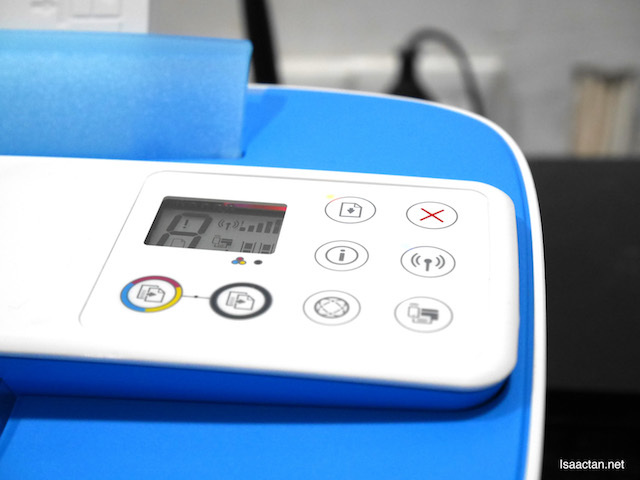 The scroll feed scanner is designed like a fin and lights up when a document is fed through for scanning or copying. 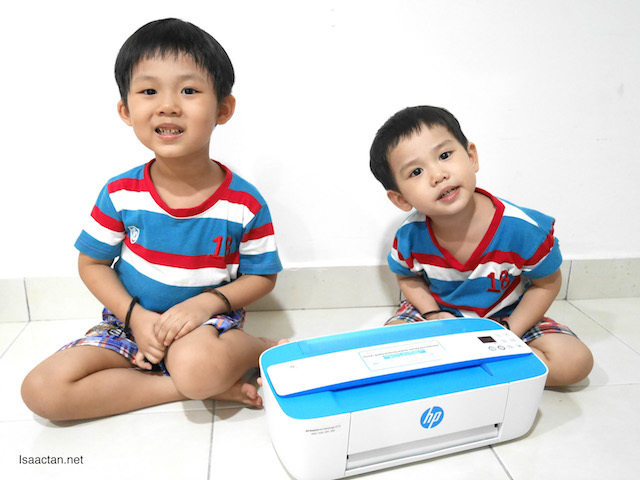 The kids with their new printer, all smiles! Setting up and printing directly from a mobile device has never been easier with the HP All-in-One Remote mobile application. The free app provides users with key features including printing, copying and scanning wirelessly from most smartphones and tablets including Apple, Android and Windows devices. 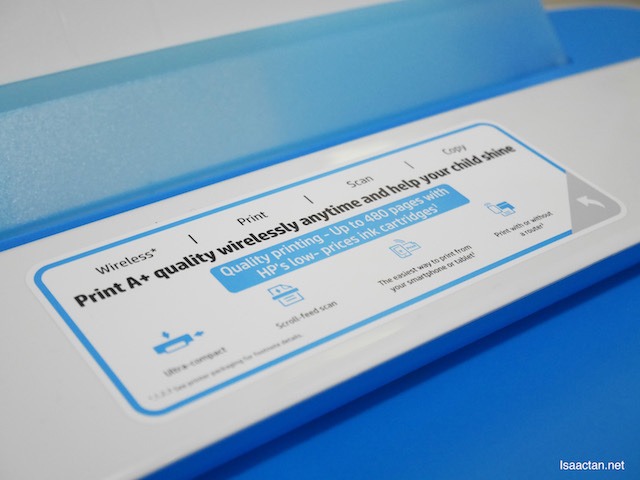 Using Wi-Fi Direct, we can immediately begin printing from their mobile devices and access their printer without a network. 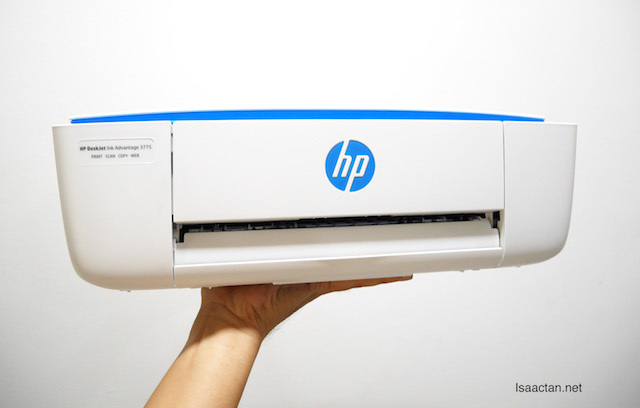 I have a HP and my girl too but she seems to have a lot of problems with hers - changed a new one once already as the previous one was still under warranty, dunno how she uses, still having problems. Maybe uses a lot as in the jungle school, neavy duty - she has to print a lot of stuff for her pupils, all at her own expense. Tsk! Tsk! Oh my, my HP printers have been okay so far. 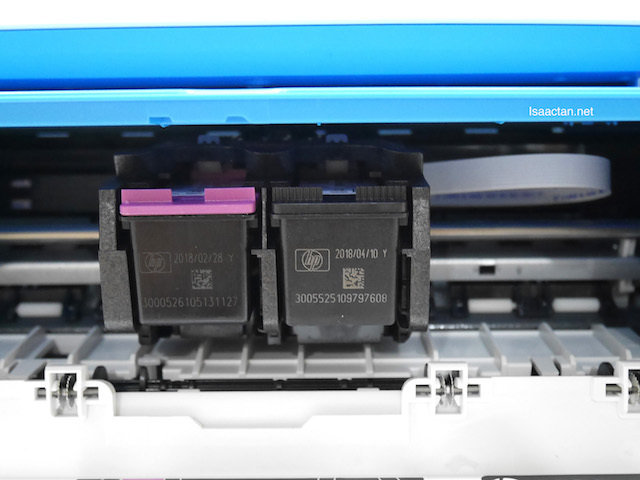 It's the other way round for me, the printer sometimes goes haywire due to lack of use rather than overuse.